Volvo XC40 Running Costs, MPG, Economy, Reliability, Safety | What Car? The XC40 is priced relatively attractively for cash buyers and should hold its value extremely well – all of which means that PCP finance and leasing rates are fiercely competitive compared with those of the BMW X1 and Volkswagen Tiguan. We’ve put the 2.0 D4 diesel, which has four-wheel drive and an automatic gearbox as standard, through our real-world True MPG economy tests. With an average of 35.4mpg, it didn’t prove spectacularly economical but on the plus side it did emit less NOx even than some petrol cars. Competitive official CO2 figures mean that company car drivers will find its benefit-in-kind tax relatively affordable, too. However, if fuel economy is of primary importance, the two-wheel-drive D3 with a manual gearbox is the one to go for; it's still impressively fuel-efficient with an an automatic gearbox and averaged 42.9mpg in our True MPG test. 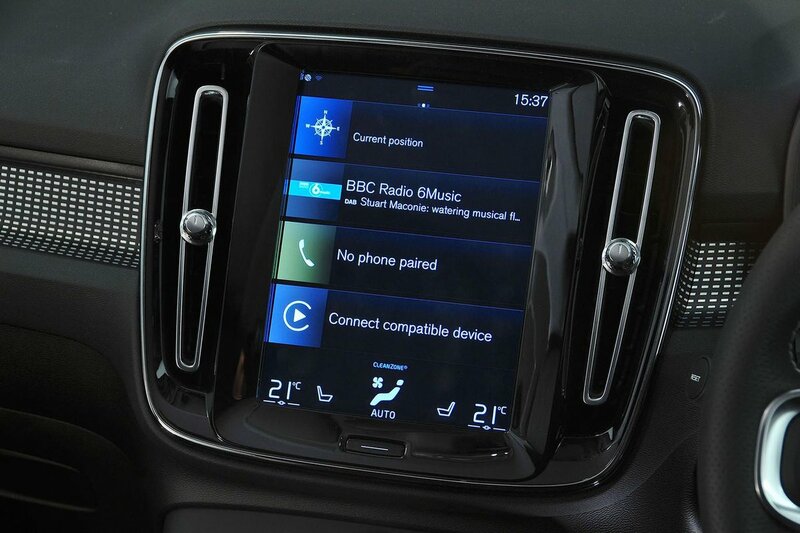 Because entry-level Momentum trim offers lots of goodies – including cruise control, keyless start, dual-zone climate control, a 9.0in tablet touchscreen, digital instruments, 18in alloy wheels, LED headlights and rear parking sensors – many people will be quite happy to stick with that. Our recommended trim, though, is the even better equipped, sportier but still reasonably priced R-Design. This adds seats trimmed in leather and nubuck, power-folding door mirrors, privacy glass and multicolour ambient theatre lighting. The more luxurious Inscription model completes the range, and even this isn't exorbitantly priced relative to the competition. Options worth considering include the Convenience Pack, for its extra practical touches; the Intellisafe Pro Pack for added safety and semi-autonomous driving tech; metallic paint for a stronger residual value, and keyless entry and a power-operated tailgate. 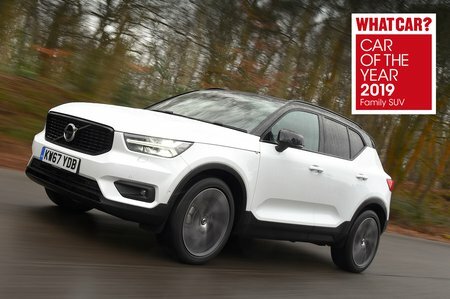 The XC40 is too new to feature in our most recent reliability survey, but Volvo as a brand finished behind BMW and Volkswagen with a relatively disappointing 21st (out of 31 manufacturers) place finish. A three-year, 60,000-mile warranty, including roadside assistance, is standard, as is a three-year paintwork warranty and 12 years of cover against rust. This is par for the course in the family SUV class. The XC40 received the top five-star safety rating from Euro NCAP, earning high scores across the board. That’s in part due to the bundles of safety kit, including a standard automatic emergency braking system that not only recognises other cars but also cyclists, pedestrians and large animals. Likewise, every XC40 comes with traffic sign recognition and an Oncoming Lane Mitigation system, which can intervene if you inadvertently cross a road's centre line into the path of oncoming traffic. Meanwhile, blindspot monitoring and rear cross-traffic alert are available as options; these are also part of the Intellisafe Pro Pack, which features a semi-autonomous driving function that can steer, accelerate and brake for you.